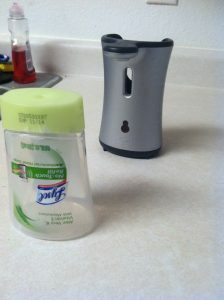 I LOVE my Lysol No-Touch Dispenser. I keep it in the kitchen so that I’m not fumbling with soap bottles when my hands are covered in gloppy flour batter or germy raw chicken. But I noticed after the initial purchase (that I of course made with coupons) the refills (which there are rarely if ever coupons for) get REALLY expensive. 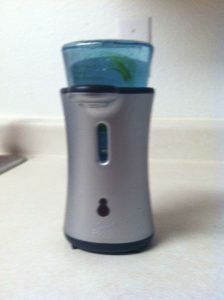 So I discovered there’s a way to hack the bottle so it’s refillable! Saves BIG money in the long run. This is really simple. 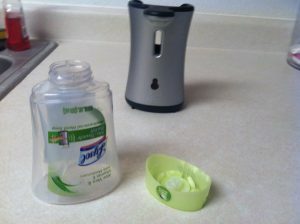 Five easy steps and all you need is your dispenser, some liquid soap (of your choosing) and a butter knife. 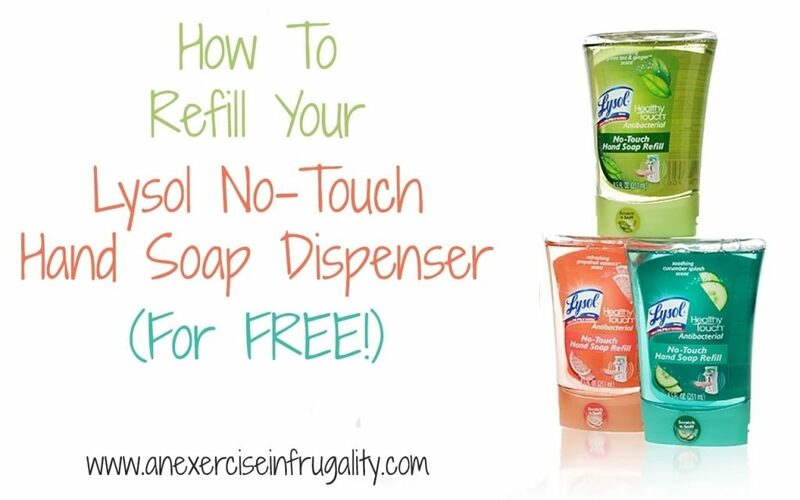 Step 1: Turn your dispenser off. Remove the empty container from the dispenser unit. 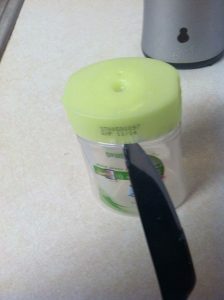 Step 2: Carefully slide the butter knife under the rim of the lid. You will want the knife blade as flat to the bottle as possible. Hold the knife FIRMLY and gently pry the knife forward and backward without cutting yourself or breaking the plastic on the lid. 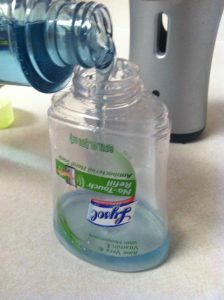 Step 3: Refill the bottle as full as possible with your favorite liquid hand soap. 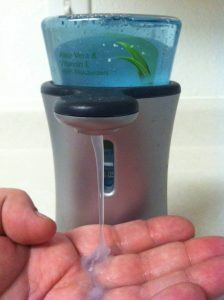 I recommend choosing an antibacterial one, especially if yours will live in the kitchen. Once it’s full, snap the lid on. Make SURE you hear it click. You don’t want your lid to leak! Turn upside down and make sure it doesn’t leak. If it does, you’ve either misaligned the lid, or broke it in the process. Step 4: Reposition the refilled container into the base unit. Remember to press firmly until you again hear a click. Don’t forget to turn it back on! Step 5: Ta-Da! You now have a functioning refill at a fraction of the cost (remember to wave your hand in front a few times to get the flow of soap going again, just like you have to when you first purchase it. It may take 2 or 3 waves of the hand to get the flow, so be patient! 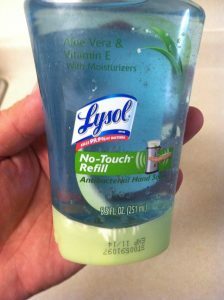 Now you can refill your own Lysol No-Touch Soap Dispenser! Awesome! Glad you liked it Julie! Thank you so much! Works like a charm. . .